An outstanding one-piece travel hoop from Echo, this folds down to half the size of a standard hoop and folds out to a 90cm standard hoop. 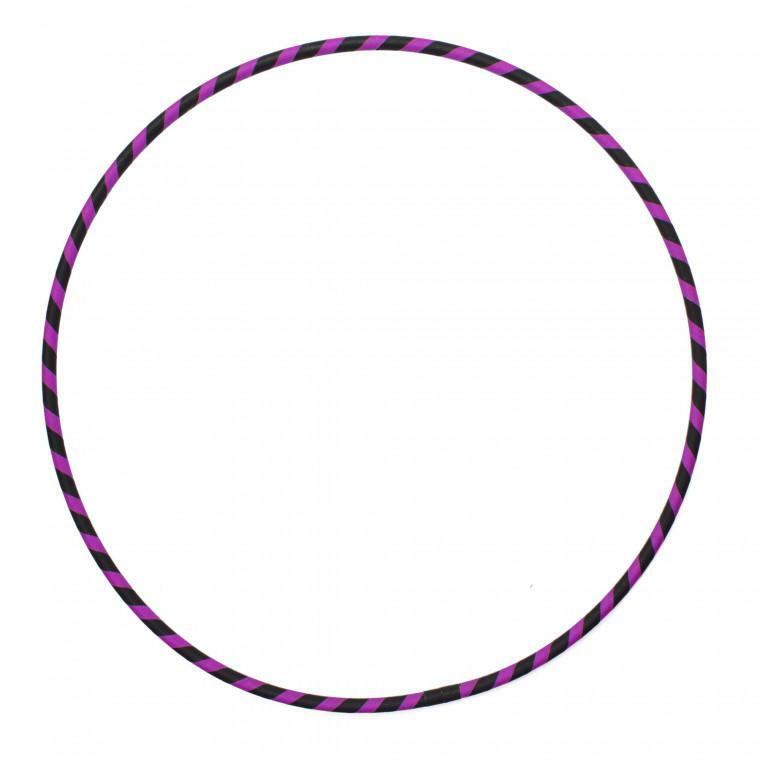 Using a thinner 20mm tubing and a 90cm outer diameter these hoops are a great all-rounder, being big enough and substantial enough to keep momentum going without being so heavy that kids can't use it. 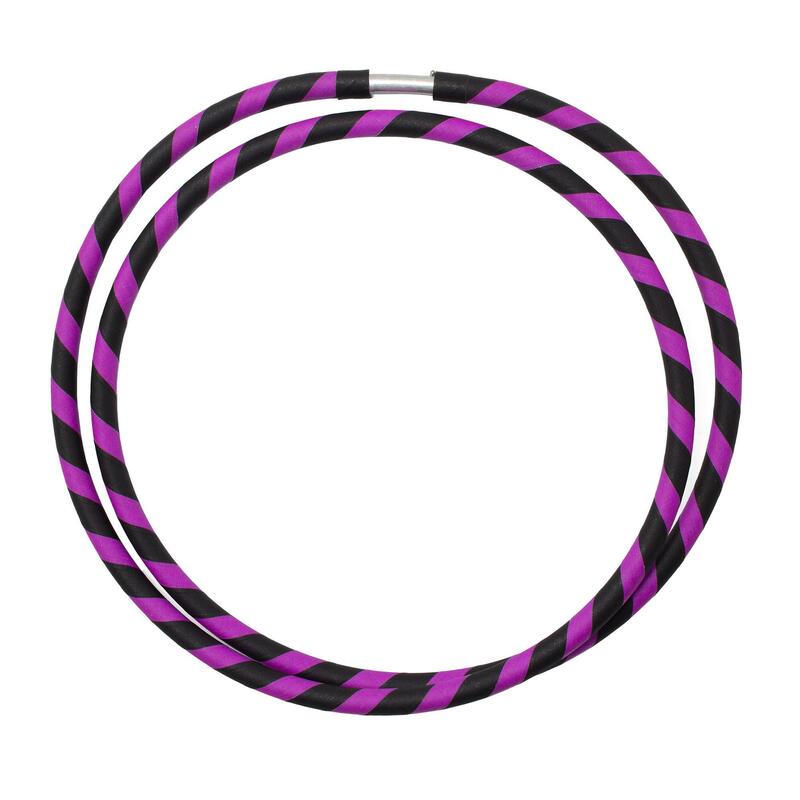 These hoops are all decorated with super bright coloured fabric grip tape in a range of exciting colours. 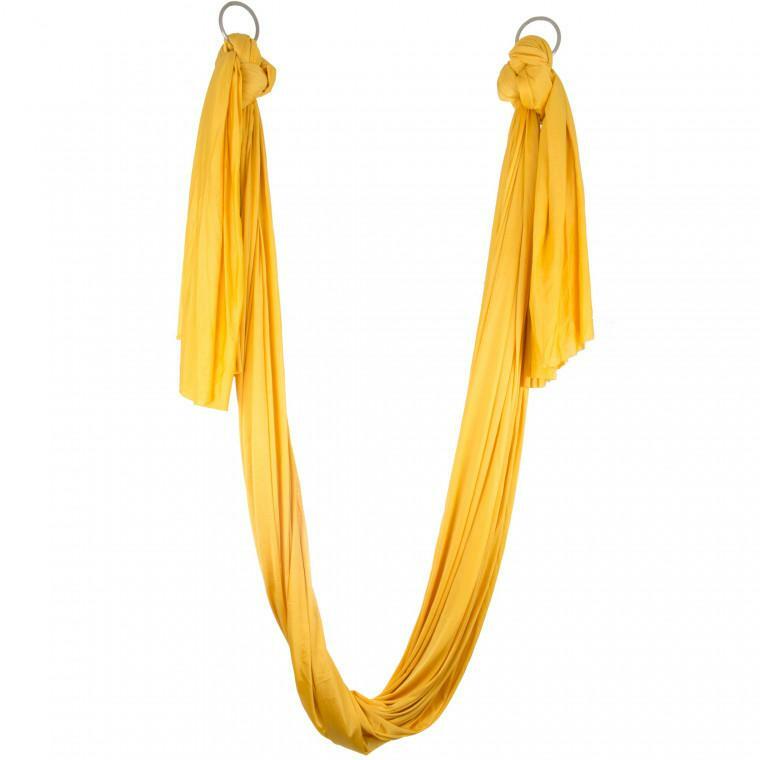 This gives the hoop a bit of extra grip around your waist, and protects the tubing inside. 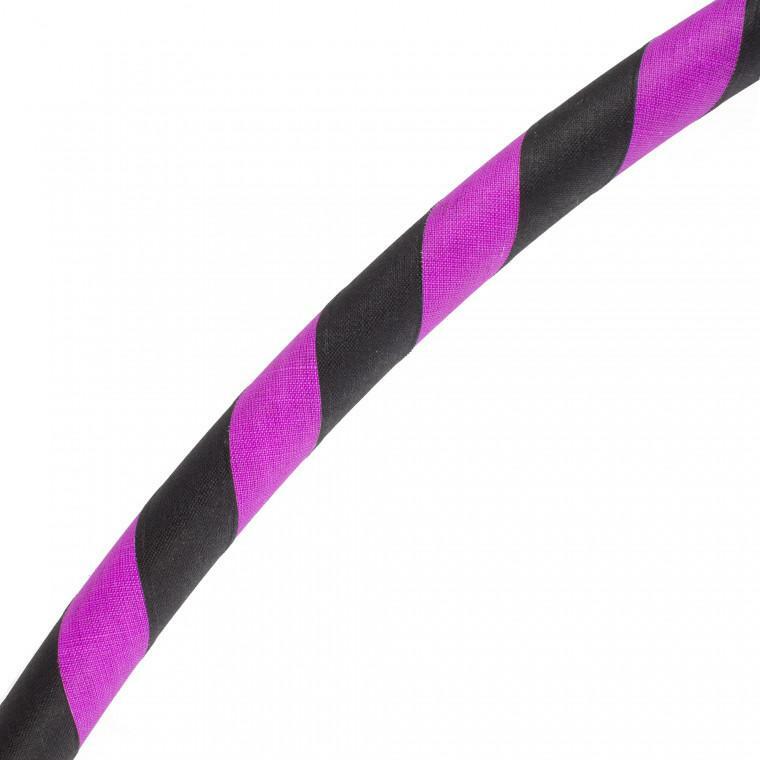 Using these hoops on concrete or tarmac can quickly damage this tape however, so if you want to keep it pristine, stick to grass. These hoops have a simple push button locking connector. This connector allows the hoop to be undone and doubled up to make it much easier to carry around when on the move. By following the instructions on the attached slip you can collapse and expand this hoop in a matter of seconds, making it the easiest way to travel with a hoop! 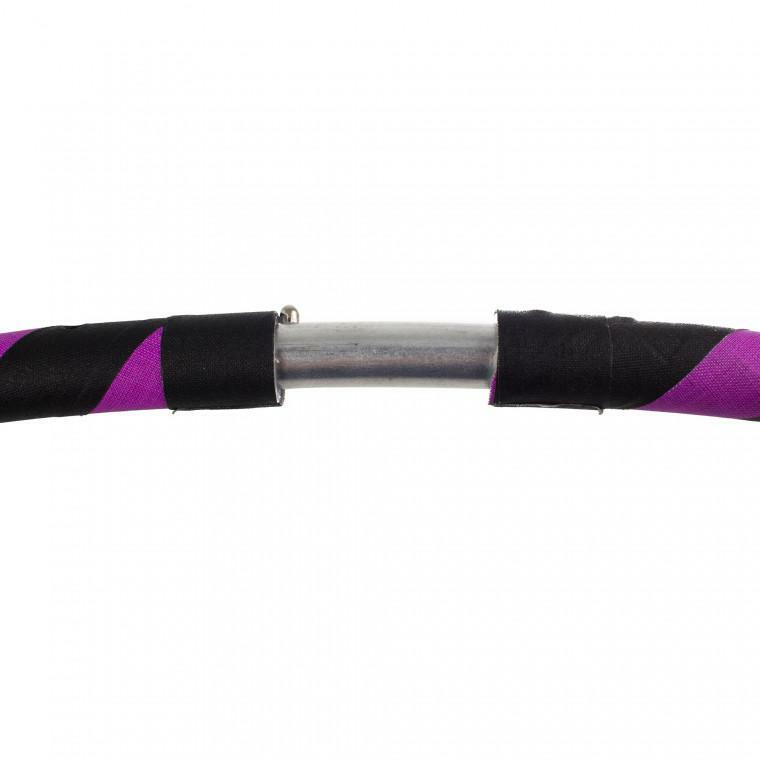 The Echo Travel hoop is the first travel hoop with a specially curved aluminium connector, meaning no flat spots without having to sacrifice strength! On first opening and assembly these hoops may need to sit in their full size for a little while to resume a fully circular shape, and to maintain this shape we recommend that they only be collapsed for travel after first use.